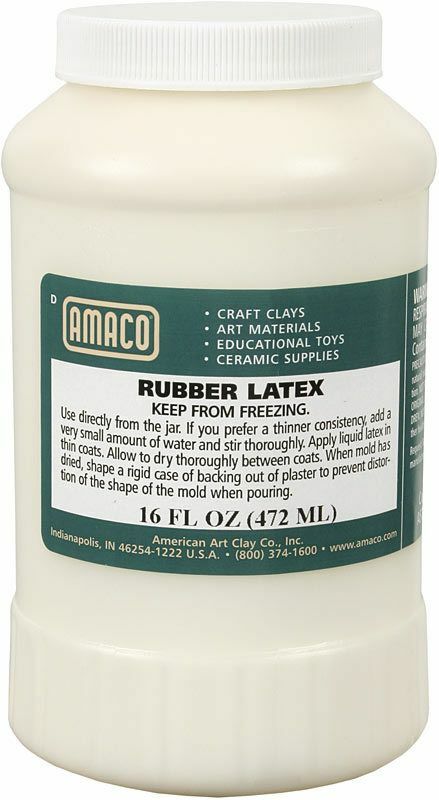 From rubber latex molds, casting can be made quickly and accurately using Plaster of Paris. The white, liquid rubber latex is applied over original models. Completed molds are tough, flexible and will often withstand 200 to 300 castings. Latex cannot be shipped in freezing weather.